humiSteam basic (Y) is suitable for installation in civil environments, offices, hospitals and industrial facilities. It is designed for installation both in rooms, using the steam blower, and air ducts, using the linear steam distributors. 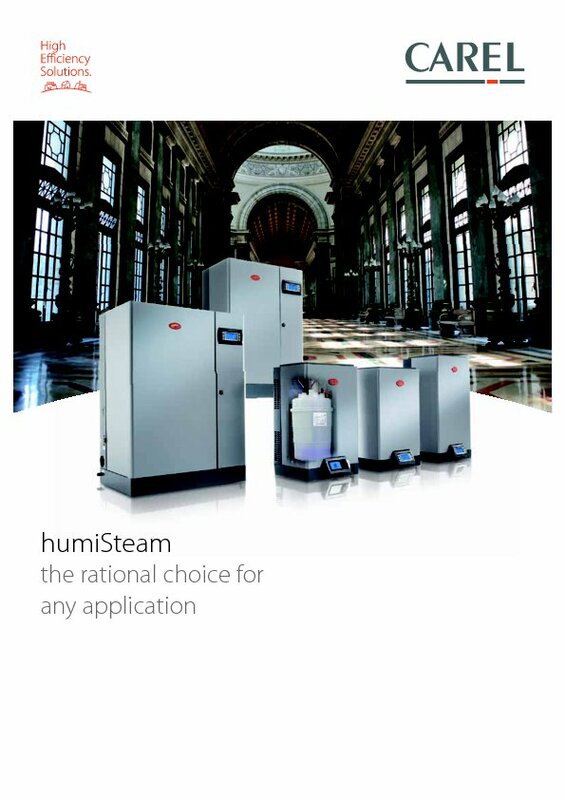 humiSteam basic is ideal for those installations where steam production is controlled by an extern signal f.i. BMS or hygrostat. It is available in capacities from 1,5 to 65 kg/h. built-in conductivity sensor and control software to optimise energy efficiency and maintenance costs, with constant performance throughout cylinder life.